According to a survey completed by Pew Internet and Life Project, 20% of kids’ ages 6 to 11 have cell phones, whereas 75% of kids’ ages 11 to 17 have them. How do you know when it is the right time to get your child a cell phone? And if you do get your child a cell phone, should he have Internet access? These are difficult questions to answer, but these 21 blog articles will provide you with the pros and cons to help you make the right decision for your child. Being able to keep tabs on your child can keep her safer, as would the ability for your child to call you should the need arise. In case of an emergency, your child could call the police if she has a cell phone. While these are good reasons to have a cell phone, there are other reasons, such as cyber bullying, sexual predators and sexting, which may make you decide not to get your child a cell phone. For these and other reasons check out the next seven blog posts. Pros and Cons of Allowing Your Child to Have a Cell Phone Find many safety tips regarding the dangers of having a cell phone. Should Kids Have Cell Phones If a child has a cell phone he can contact emergency services if necessary, according to this post. Cell Phone Safety for Children A discussion about radiation and young brains can be found in this article. Kids and Cell Phones—Pros and Cons A frank discussion about the health effects that cell phones could have on your kids can be found in this post. GPS Cell Phone—Pros and Cons Read some of the good, the bad and the ugly regarding being able to track cell phones. Pros and Cons of a Child Having a Cell Phone? The benefits of being able to reach your child or vice versa are among the items covered in this post. Parents’ Guide to Kids and Cell Phones A useful list of rules and safety items to cover with your child if and when they get a cell phone. 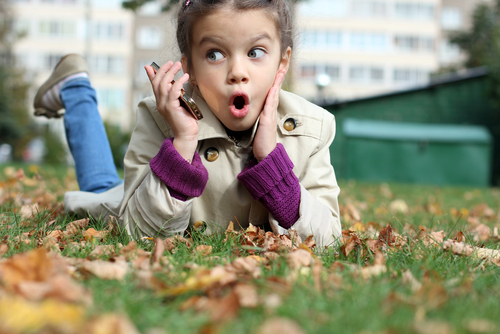 Determining if your child is ready to have her own cell phone can be difficult. Each child is different, so a child who is 9 years old might be ready, while another child who is 14 may not be. You will need to take a look at these seven blog entries and determine the readiness of your child. Should Your Kids Have a Cell Phone? Many valid points are made in this pro and con list. Is Your Child Ready for a Cell Phone? A list of rules for cell phone use can be found in this article, along with good points and bad points for having a cell phone. Pros & Cons in Choosing Perfect Age for Mobile Phone The suggestion is made in this article that you should get your child a prepaid cell phone to monitor use. The 411 On Kids and Cell Phones This article discusses the pros and cons and offers suggestions for making these decisions easier. Pros and Cons of Teens and Cell Phones One advantage is that the cell phone is substantial leverage if you want to take something away from your teen as punishment. Teens and Their Cell Phones: The Pros and Cons of Text Messaging [Teen Article] An interesting take from a teenage perspective about the good and bad points of text messaging. Technology: Pros and Cons of Cell Phones for Tweens and Teens A smart look at the advantages and disadvantage that cell phones may have for your kids. It’s easy to say that kids don’t need cell phones in school, but when the teacher tells them to look up something on the Internet and they have to wait in line for a computer to become available because they don’t have a smartphone it may not be so black and white. Read through these seven blog posts to help you determine if your child needs to have a cell phone in school or not. Pros and Cons of Cell Phone in School Reasons for and against allowing kids to have cell phones in school. The Pros and Cons of Cell Phones Several points are made as to why cell phones are a benefit to kids at school. Do We Really Need Cell Phones in School? A humorous post about the need for cell phones at school. Ask an Expert: Are Cell Phones at School a Good Idea? Some interesting statistics are shown in this blog entry. Cell Phones are Getting Smarter Ideas about how a smartphone can be used to help kids do research are discussed. 5 Pros and Cons of “BYOD” in Education Devices other than and including cell phones are covered in this article, as well as many insightful reasons for and against having them at school. Pros and Cons of Digital Devices in the Hands of Young Students Learn some advantages and disadvantages of having and using tech devices like smartphones.